We’ve got the perfect gift for that Golf Nut on your list. 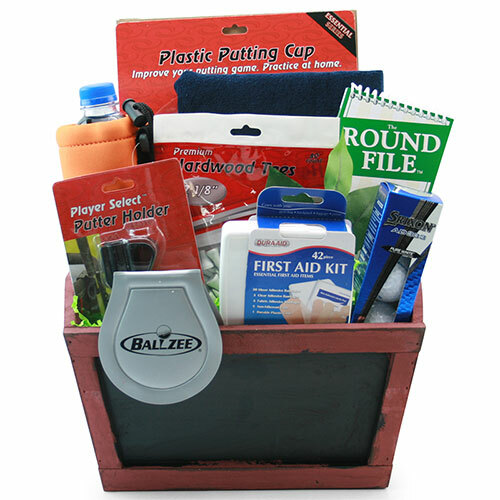 Packed with the essentials any golfer would need, who wouldn’t go nuts for this gift! You can even capture the moment your golfer gets his gift with a handsome Golf Themed Picture Frame (Ball & Shoes Design, 4x6 Photo) that comes included the basket.